Cangaço is a real-time action and tactics game (RTT), totally in Portuguese (with English and Spanish versions), filled with challenges and witty humor, and set in the arid and cruel Brazilian Northeast of the early 20th century, where outlaws and the police were in constant conflict. The player takes control over a band of outlaws (Cangaceiros) or a police troop (Volante) and needs to survive the battles and challenges in the barren backcountry of Northeastern Brazil (Sertão). The game includes three single player campaigns, online multiplayer mode and a system for creating and sharing custom maps and games. In single player mode, the player sees the story unfold through the eyes of three protagonists: the male outlaw (Cangaceiro), the female outlaw (Cangaceira) and the Police Captain (Volante). 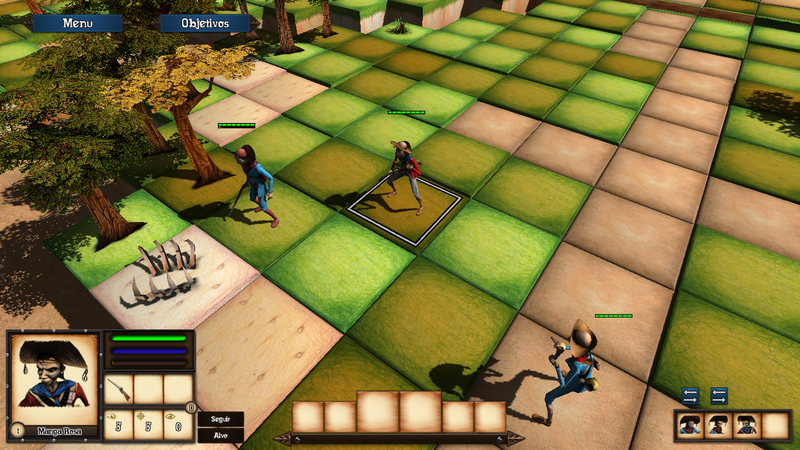 Each story is played separately and the player can control all aspects of the characters’ evolution (attributes, weapons, items, skills). Each storyline has at least two alternative endings and the events in all three stories intertwine, creating a complex narrative for the player to explore. 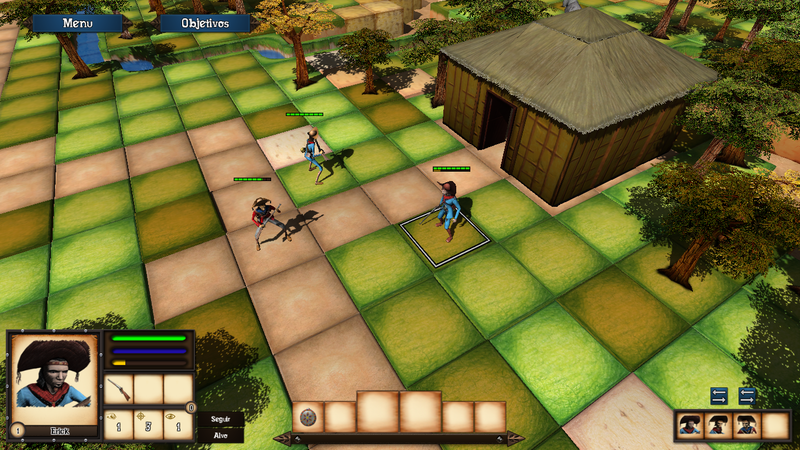 Besides the single player campaigns, the game also brings a competitive multiplayer mode, with several battle maps that can be played online. The online platform guarantees match-making (search for players in similar levels for online matches), friend list, in-game chat and cloud backup for the saved games in the single player campaign. 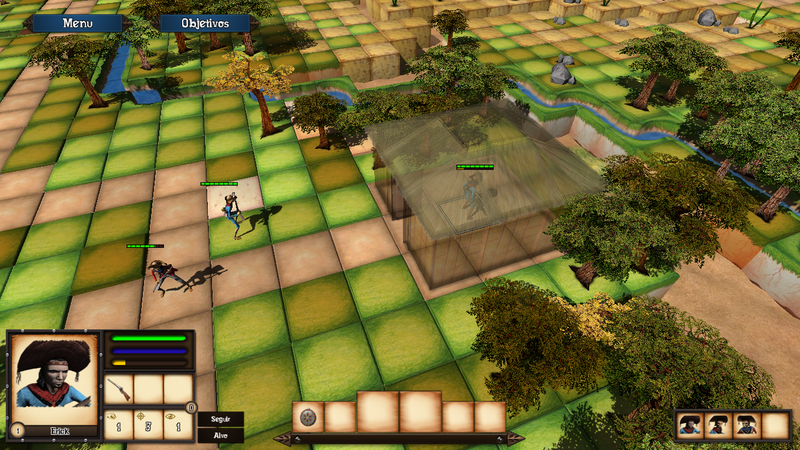 For players who like to create, the game brings a system for editing custom games, which allows the edition/creation of new units, weapons, items, skills, battle maps and even full campaigns. The online platform allows these custom games to be shared with friends, and the players that come up with the most interesting and most popular creations will be awarded with prizes. Musical elements of the Northeast of Brazil set the mood while you play.This original soundtrack is a prominent part of the game, with 25 new pieces created specially for each moment and setting of the story (see extra link below to listen to a sample). Besides, every dialogue was recorded in Portuguese by voice actors that authentically played each character, so you can learn to sound like the tough guys that you’ll play. 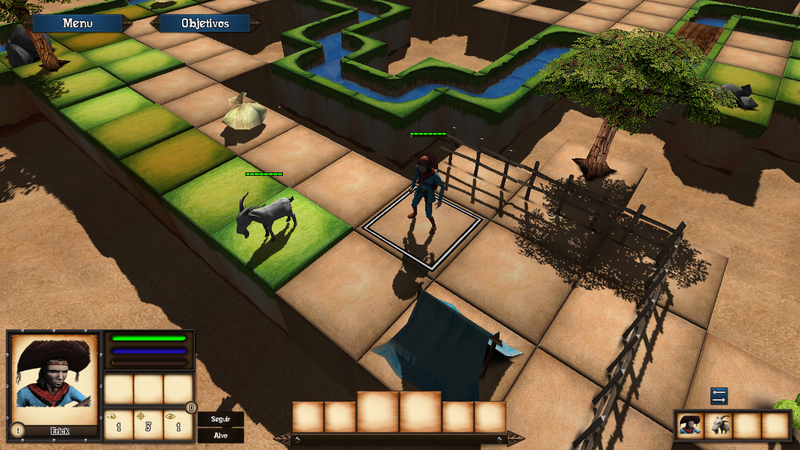 Also, Cangaço was made using an original technique for the creation of textures. They were colored by hand with color pencils and applied to the game’s 3D models of characters and tiles, giving it unique visual settings. 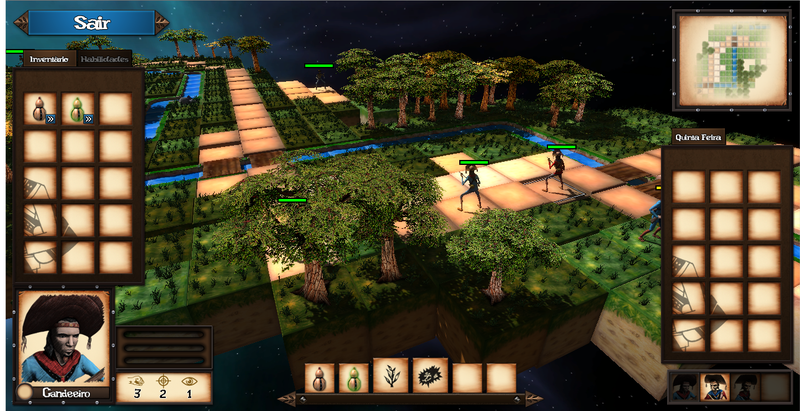 Sertão Games is a game development studio, founded in 2011, committed to the creation of products that highlight elements of Brazilian culture. We are also the creators of Cangaço Wargame, a casual strategy game for Facebook that has around 50,000 players currently registered. 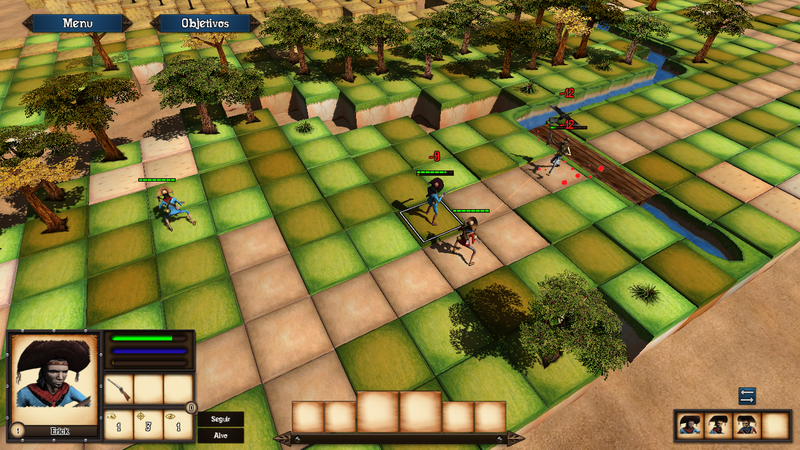 Cangaço , despite having the same theme, is a new product and is not at all similar to Cangaço Wargame in aesthetics or gameplay. The music São José do Troca Tiro is part of the game’s original soundtrack.